It can’t be any harder than piloting a Flying Saucer, right? … Pocatello TV station KPVI reported he told flight attendants he was a space alien and wanted to fly the plane. 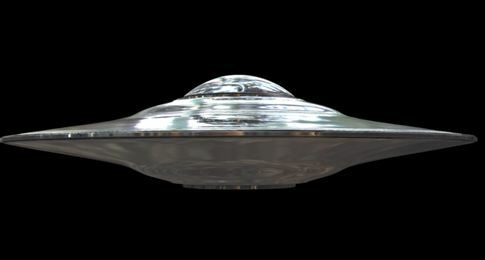 May 4, 2010 Posted by oldstersview | Airplanes, crazy, Dumb Stuff	| aliens | Comments Off on It can’t be any harder than piloting a Flying Saucer, right? The tale of a terrified woman who claimed to have a shocking close encounter with an alien on a sports field near Norwich was revealed this week after previously top secret UFO files were opened up by the Ministry of Defense. The MOD has released once-classified files concerning reports of flying saucers, alien abductions and close encounters to the National Archives, and the Norwich case is one of the most remarkable to have occurred between 1987 and 1993. The woman, who did not give her name and address, said the previous night she had been walking her dog on a sports field not far from her home near Norwich. The RAF report stated, “She was approached by a man who asked her if she would listen to what he had to say. She described the man as 5ft 9in, fair hair, with a Scandinavian type accent and dressed in a light brown garment similar to a flying suit. March 23, 2009 Posted by oldstersview | UFO	| aliens, blond aliens | Comments Off on Aliens are from Scandinavia?? Aliens from outer space have been visiting Britain for years and UFO sightings doubled after the film Close Encounters was released in 1977, according to secret files collating reports by members of the public. The alien craft come in all shapes, sizes and colours but their occupants are uniformly green, the Ministry of Defence files show. The archives…are the first batch of a four-year release programme of all the ministry’s UFO files from 1978 to the present day. The ministry dismisses 90 percent of the reports as having mundane explanations and leave 10 percent with a question mark and the assurance they are no defence threat.